This picking system is made up of slightly inclined wheel and roller platforms. The product gravitates towards the picker, ensuring high efficiency, visibility and fast reloading of products. The carton flow racking system is available with your choice of steel or poly-carbonate wheels. 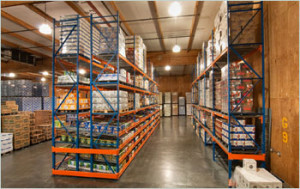 Our experts at Shelf Master will provide you with the best solution for your storage needs.